Kanye West has outdone himself. Registering new heights on the unhinged, delusional, drivelling self importance scale, he has given his first radio interview since the release of ‘Yeezus’ to Zane Lowe on Radio 1. The hour long interview broadcast last night saw West – who may or may not have been on some form of medication / cocktail of stimulants – hold forth loquaciously on a vast range of issues from the position of black artists in the music business to his wife Kim Kardahsian. Ironically enough he also seemed happy to discuss his ‘perceived’ megalomania. Lowe meanwhile barely got a chance to ask a question let alone contribute to the conversation. Kicking off with a tribute to Michael Jackson and the way he broke the glass ceiling for black artists, he started to refer to himself in the third person as ‘Kanye West’. West then began to discuss his music, saying “I'm going to take music and try to make it three dimensional… I'm not here to make easy listening, easily programmable music”, before dismissing Rick Rubin as "he's not a producer, he's a reducer". He then proclaimed himself the "number one rock star on the planet", saying: "We the real rock stars and I'm the biggest of all of them", going on to say "There's no-one in this space that looks like me, if they are, they're quiet as f**k... I brought real rap back, I'm going to do dope things". Ahem. 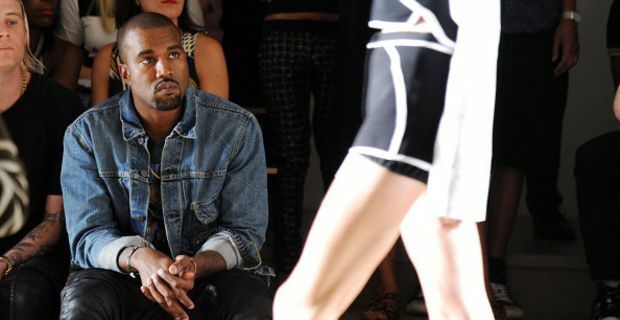 He then slated Nike for not making more of his trainer line, saying "I can make music, I can do it, but I shouldn't be limited to one place of creativity… You guys don't understand that I did the Yeezys and they eBayed for $90,000 but I didn't get a call from Nike the next day”, before revealing his ambition to design the basketball uniforms for his high school team.